Morning offerings will vary (9:30am to Noon) include a different focus each morning in line with our Summer Camp theme for the year. This year we are having a Impressionism themed art exploration. Specific projects to be announced soon. But will include body awareness through yoga instructions and games. As well as an art based exploration of our sculpture garden. 30 minute Lunch – Bring a bagged lunch with drink. 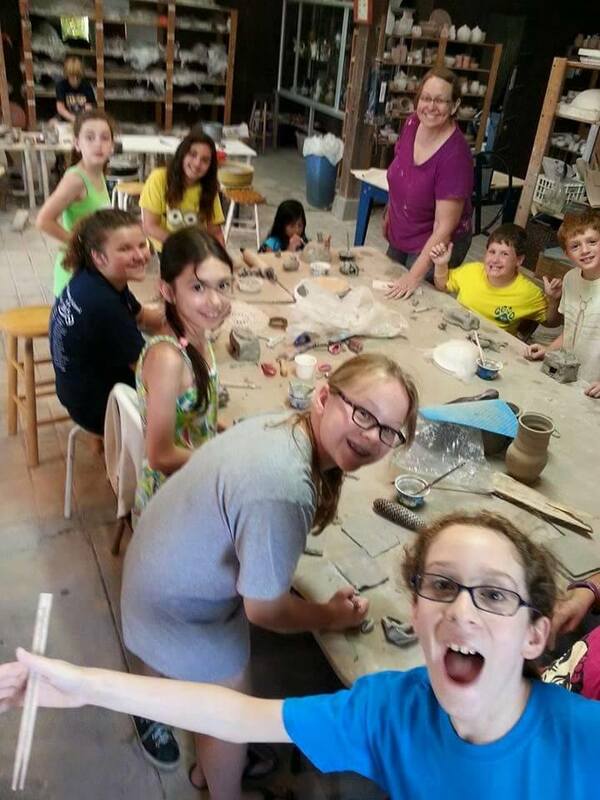 Afternoons (12:30pm – 3:00pm) Play with clay at Earth Center Pottery. Explore wheel throwing, hand building and glazing with Jennifer Miller. Summer Camp Sessions are held June through August for aspiring young artists ages 5 through teen. Painting, Drawing, Mosaics, Glass, Pottery, Fiber, Photography and Much More to Explore!